Egil Ulvan Rederi's LNG-electric cargo ship. Although shipping is the most efficient mode of cargo transport, international shipping emitted 932 million metric tons of carbon dioxide in 2015. If treated as a country, it would have been the sixth largest emitter, just above Germany. This story originally appeared on The Explorer, an online showroom for Norwegian green and sustainable solutions. The International Maritime Organization (IMO) has taken a strong first step towards reducing these emissions, with a target of cutting the shipping sector’s overall carbon emissions in half by 2050. 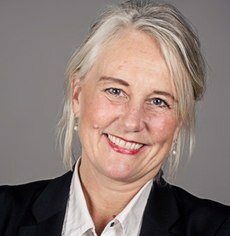 The Norwegian Government has taken a step further, setting its own ambitious target of reducing emissions of greenhouse gases by 40 per cent as early as 2030. ECOsubsea ship cleaning system. Photo © Natalie Mariell Elholm. The private and public sectors in Norway have joined forces and established the Green Coastal Shipping Programme. The aim is to bring a green revolution to coastal shipping. The programme has taken its cue from Silicon Valley and is launching pilot projects as early as possible. New solutions are implemented quickly and further developed from there in direct dialogue with customers. Fifteen large-scale pilot projects have been launched thus far. These include a hydrogen-powered speed boat, a bunkering vessel and hybrid shuttle tankers, as well as two projects to develop green ports. 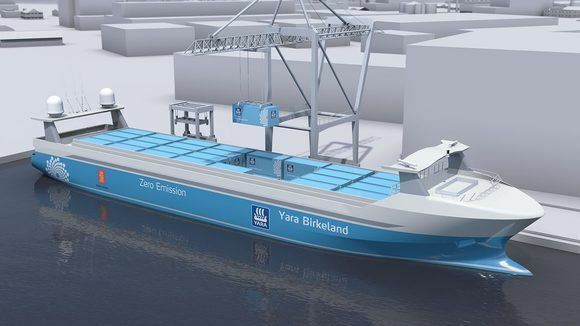 Yara Birkeland autonomous emission-free container ship. Another pilot project is the world’s first autonomous, fully electric container ship, Yara Birkeland. It is being built by the Norwegian fertiliser company Yara, with KONGSBERG delivering all key technologies. The vessel is scheduled for launch in 2020 and will become autonomous in stages. As for passenger transport, requirements for energy efficiency and emissions are now weighted in all public procurement tenders for ferries in Norway. Thanks to this, there will be a total of 70 all-electric and hybrid ferries in operation along the Norwegian coast by 2021. The rise in electric ferries also brings with it additional investments in battery and charging technology. 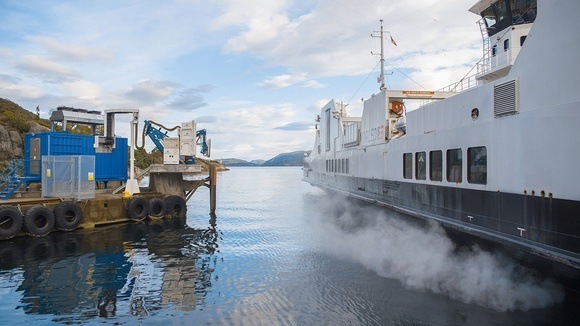 Wärtsilä, for instance, has already developed a wireless instant charging system for electric ferries based on ground-breaking research from SINTEF Energy Research. Wärtsilä's wireless instant charging system for electric ferries. Ports, too, have an important role to play in making shipping greener. When ships are docked, they often rely on polluting diesel generators for their power. Add to this the number of electric vessels that need charging, and the demand for port electrification is clear. A project led by DNV GL is analysing how electrified ports can reduce greenhouse gas emissions. Among other things, the project is using automatic identification system (AIS) data to pinpoint where in a port emissions are released. Another initiative suggests giving larger container ships a slot time in ports, like they do for airplanes at airports. The Norwegian Centre of Expertise (NCE) Maritime CleanTech says this will reduce the number of ships waiting outside ports to unload and reload. Having a specific arrival time means ships can more easily plan their route and speed to achieve to lowest emissions possible. These initiatives are only the beginning and their results can help other countries reach the IMO’s target of 50 per cent emissions cuts. 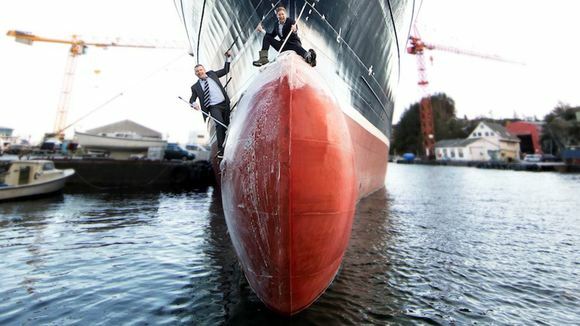 Policy, regulations and national targets are guiding Norway’s quest for green shipping, with the public and private sectors working closely together to find the best solutions.